In the first week of September, the Euro dollar fell sharply against the Canadian dollar mainly due to a dovish statement made by the ECB president Mario Draghi and the unexpected rate hike by the Bank of Canada. However, NAFTA related issues with the US and a cautionary statement by the BoC governor Stephen Poloz regarding future rate hikes turned the Canadian dollar weak against the Euro at the end of September. The EUR/CAD pair, which is currently trading at 1.4730 levels, is expected to rally further due to reasons given below. Destatis, the Federal Statistical Office of Germany, reported a trade surplus of €21.6 billion in August, compared with €19.30 billion in the previous month, and greater than €19.80 billion expected by the market. While the exports increased by 7.20%, the imports jumped by 8.5% in August, on y-o-y basis. Compared with July 2017, exports and imports increased by 3.1% and 1.2%, respectively, on a seasonally adjusted terms. Elsewhere in the Eurozone, the Istat reported a 1.2% m-o- m growth in Italian industrial production in August, compared with a mere 0.1% increase in July. 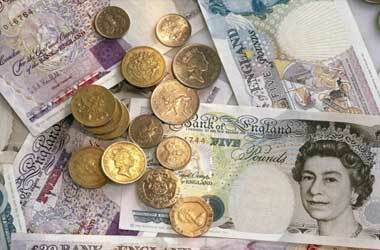 The reported figures were far ahead of 0.1% growth expected by analysts. The Canadian economy, in the meanwhile, has come to a grinding halt after recording a growth for eight successive months. The Statistics Canada recently reported that the GDP growth was unchanged in July, compared to the previous month. On the basis of a stunning annualized GDP growth of 4.5% in the second-quarter, economists had expected Canada to post at least a growth of 0.1% in July. However, weakness in all the major sectors, including oil and gas, ensured a sharp decline in exports and a widened trade deficit of C$3.4 billion in August, from C$3.0 billion in July. Neil Mellor, a senior currency strategist at BNY Mellon, opined that the recent rally in the Loonie has been affecting the exports and so the Bank of Canada will postpone raising rates in the next few quarters. The more bearish view was that of a Capital Economics’ analyst who believes that there is a possibility of even a reversal in recent hikes next year. Thus, economic data favor a short-term uptrend in the EUR/CAD pair. Technically, the EUR/CAD pair has broken the ascending triangle, as shown in the price chart below. The MACD indicator is moving in the positive territory. Likewise, the above 100 readings of the momentum indicator confirm the bullishness underlying the EUR/CAD pair. Thus, we forecast a continuation of the current rally. 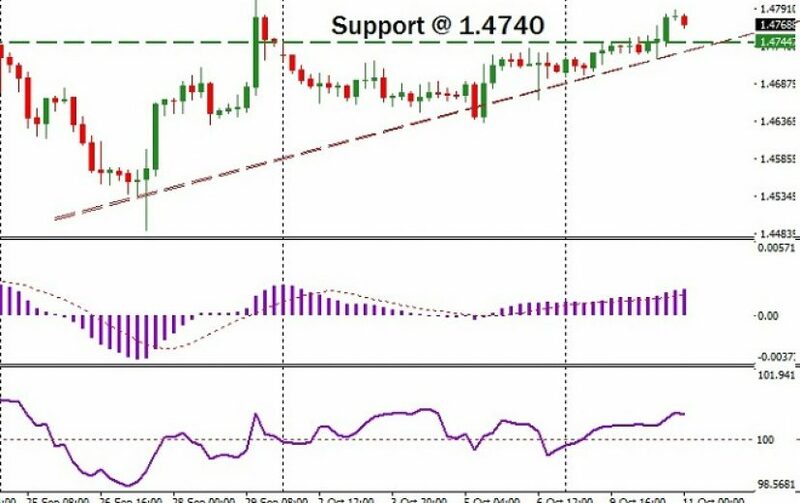 We may establish a long position in the EUR/CAD pair at 1.4740 levels. To minimize risk, a stop loss order will be placed 100 pips below the entry level. 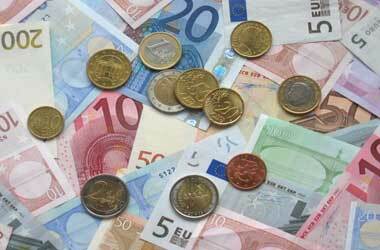 Finally, we will be looking for an exchange rate of 1.4980 to book profit. Additionally, we may also invest in a high or above option to gain from the EUR/CAD pair’s uptrend. A date around October 20 th will be our choice of expiration date. 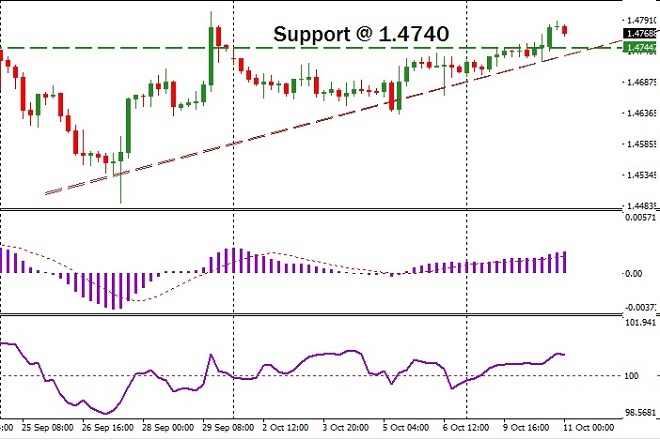 We will enter when the EUR/CAD pair trades near 1.4740.